29 November 1939 marked the demise of U-Boat U-35, barely three years old. It had long been known as the "bad luck boat" of the Saltzwedel flotilla due to several prewar accidents: rammed by a freighter in 1937; overrun and badly damaged in 1938 by the battleship ADMIRAL GRAF SPEE; struck by an airplane in 1939. But it had a successful prewar career as well: the first U-Boat patrol (together with U 28) into the Atlantic (under command of Hans-Rudolf Rösing to Ponta Delgada in the Azores); several patrols to Spain, Ceuta, Gibraltar and Morocco (first under command of Hermann Michahelles, then under Werner Lott). Due to the accidental death of Michahelles, the famous Otto Kretschmer was given his first U-Boat command on U-35. During the war, U-35 was at first quite lucky. Most notable is the story of a single depth charge which almost left the U-Boat incapacitated on the sea bed at a depth of 115 meters. On 29 November 1939, its luck ran out. U-35 was spotted on the surface by the destroyer HMS ICARUS, which had to feign a three-hour hunt because of its malfunctioning ASDIC. The destroyers HMS KINGSTON and HMS KASHMIR were directed to to the hunt. Depth charges quickly forced U-35 to surface and scuttle. "Abandon Ship!" was ordered by the commander, Kapitänleutnant Werner Lott. 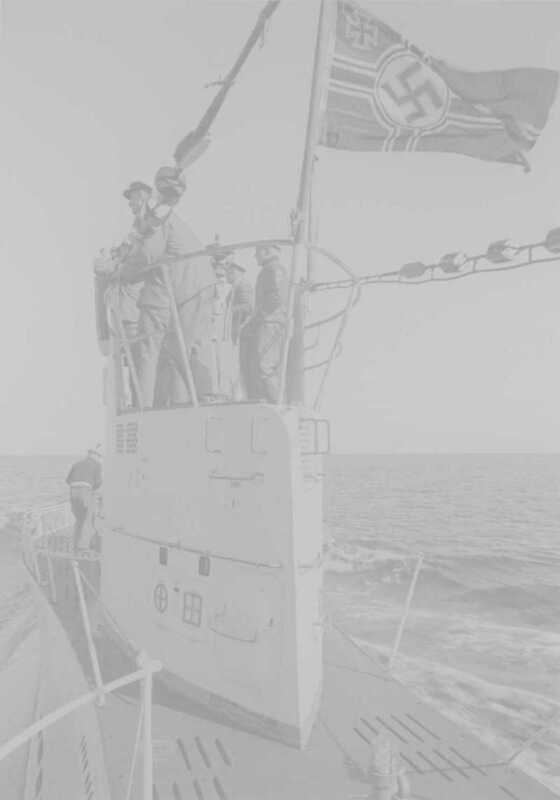 Several of the crew cheered "U-35 - Hurrah, Hurrah, Hurrah!" as the U-Boat slipped below the surface of the ice-cold North Sea for the last time. The entire crew was rescued. Eight weeks prior, U-35 had taken the 28-man crew of the Greek steamer DIAMANTIS on board for more than 24 hours, landing them on the Irish coast. This violation of Irish neutrality resulted in international headlines, including the cover of LIFE Magazine. U-35 was now on the receiving end of such chivalry, as the crew spent the next seven years as Prisoners-of-War. First stop was the Tower of London, where Lord Mountbatten, who had commanded the destroyer flotilla, came to visit. The following years as POWs were marked by escape attempts, marriages by proxy, and even a prisoner exchange. After repatriation to Germany, three of the crew emigrated to Canada; another stayed in Scotland. The story of U-35 continued, with yearly reunions in Germany and correspondence with Lord Mountbatten until his murder in 1979. In 1986, due to Norwegian oil exploration, the wreck of U-35 was discovered at a depth of 190 meters and filmed by a remotely-operated vehicle. In November 2001, two of the crew were again "interrogated" in the Tower of London - this time for a documentary about the history of the Tower. "U-35 - Hurrah, Hurrah, Hurrah!" is in preparation (English and German editions). "Silent Runner - Wolfgang Heyda, U-boat Commander"